The answer is the loss of enamel from the part of a tooth nearest the gum. 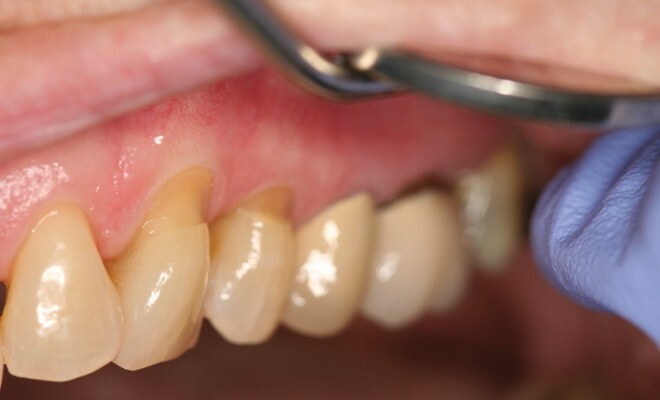 This loss actually creates “divots” in the tooth, exposing the dentin below and causing painful sensitivity – as well as some other potentially serious problems. It’s a problem that’s been around forever, but one that’s only recently been fully understood. To understand how abfraction happens, it helps to know that when you bite down you’re actually exerting as much as several hundred pounds of pressure per square inch. That’s not a problem if your teeth are properly aligned. But if your bite is even a tiny bit off, that pressure can cause your teeth to flex. That is a problem because while the dentin inside your teeth can flex a bit, the hard, brittle enamel on the outside can’t. As a result, as time goes by the enamel begins to separate from the dentin – usually at the neck of a tooth because that’s where the enamel is thinnest. It’s a slow process and one you’re not likely to notice. But sooner or later this gradual, microscopic damage causes the enamel to sheer off, leaving the characteristic wedge-shaped indentation dentists call an abfraction lesion, or simply an abfraction. As you can imagine, clenching your teeth or grinding them at night can make the problem even worse. Abfractions, which are quite common in adults, occur most often in the back teeth but they can develop in any part of the mouth. And, when they do they can cause the kind of sensitivity to hot or cold food and drinks you may have noticed. In fact they can even cause painful sensitivity to cold outdoor air. What’s more, abfractions can lead to cavities because they trap food and plaque, and because the exposed dentin is so much softer than enamel. Even worse, they can weaken the structure of your tooth and actually cause it to break. Abfraction never get better on its own but there are some simple, highly effective steps we can take to end the danger and the pain. The first step is to assess your bite and, if it isn’t perfect, take steps to correct it. Basically that involves making sure the force of chewing is distributed over all your teeth so none receives too much pressure. Without this step, the problems that caused your abfraction will continue and may cause more. Next, I’ll restore the enamel that’s missing using a natural-looking composite material. Doing this will strengthen your tooth and end your sensitivity to hot and cold. Finally, I’ll most likely make you a custom night guard to protect your teeth from grinding while you sleep. It’s as simple as that. 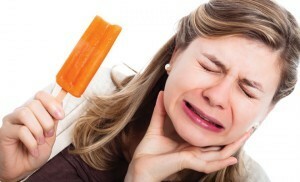 If tooth sensitivity is keeping you from enjoying the food you love – or if you’ve noticed cracked or missing enamel, just give us a call at 610-558-1760. To receive a FREE Exam, PLUS $100 toward your dental treatment.